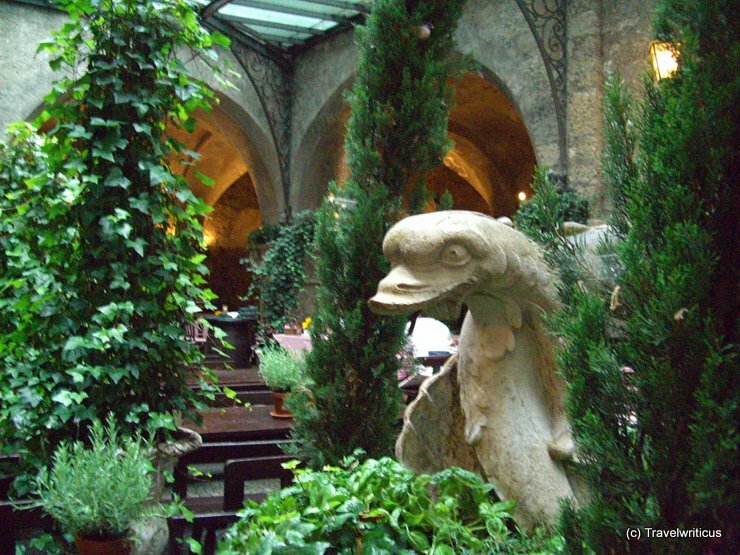 A dreamy place for a dinner in Salzburg is the inneryard of the restaurant St. Peter Stiftskeller. This site was first mentioned in the year 803 by the scholar Alcuin – a follower of Charlemagne. This entry was posted in Restaurants and tagged Austria, Salzburg, Salzburg-City by Travelwriticus. Bookmark the permalink.